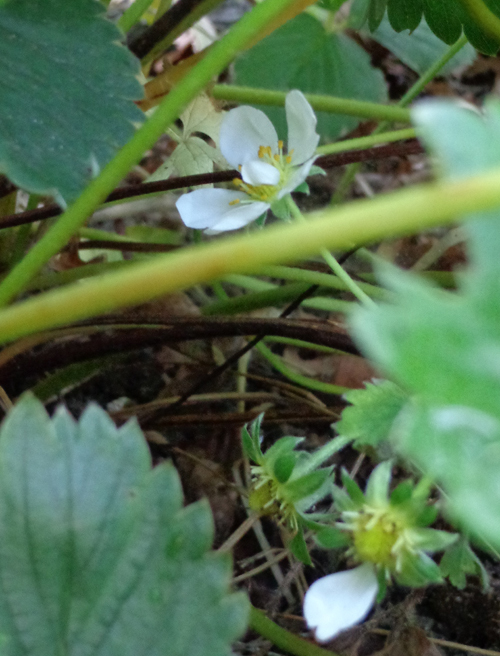 So this past week I checked on several plants in the garden… and noticed one of the strawberry plants was flowering for the second time this year. The promise of spring is definitely in the air. In fact, the weather forecasts predict up to 20 degrees Celsius this Sunday. Our baby narcissus is flowering in a modest clump in our front garden. The buttercups are in for a great year, if the amount of leaves covering the soil are anything to go by. I’m definitely going to have to take a look around, to see what needs doing out there and in the back garden. Note: when I say garden, these two bits of land might add up to a small garden. With a car taking up nearly a quarter of the available space. And another quarter I don’t want to plant anything edible in because of the car. And other people’s cars driving past. Then we want something like a sitting area. After a couple of years of baking in the afternoon sun, we decided to soften the local microclimate by putting in a tree or two. I’m waiting for them to start growing. So far, they’re looking happy – but not quite budding yet. Night temperatures do drop to nearly freezing point, so I’m happy that they’re in no hurry. I planted some herbs like basil in a sunny spot almost in the hedge. 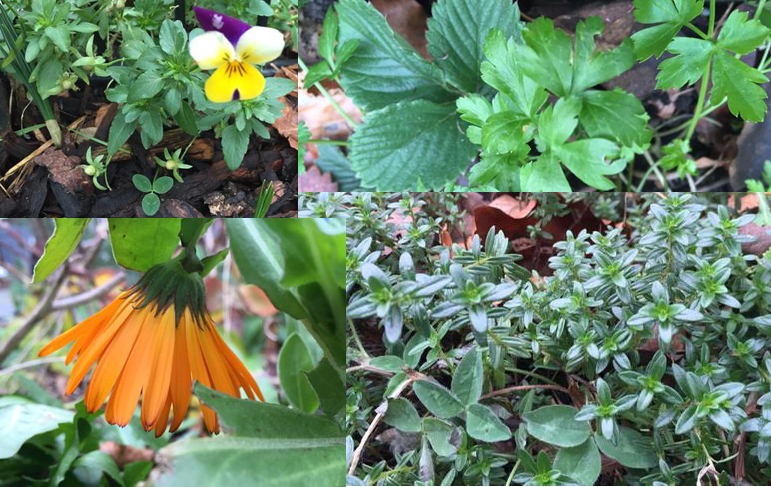 These were annuals, which is just as well, because last summer I learned from our neighbors that they had sprayed the hedge (beech – it’s a monoculture in most new or renewed parts. A feast for specialized insects). If any of our hedge plants give up this year, I’ll put in an entirely different plant. Maybe something edible. About two square metres of garden are filled with strawberry, blueberry (I added oak leaves for acidity) and herbs. The place is crammed and looked great even in winter. If you don’t mind the leaves. And I don’t. Most of them are gone by now, because we had a typical winter – if a sea climate winter is the kind you like. A sprinkling of snow in half the country, excluding where we live. Not enough ice to go ice skating (if any! ), not this year. Rain. The kind of winter you end up calling “but really it wasn’t a winter at all. Not a proper winter.” Except it’s the kind we had a lot, until it started snowing a couple of years ago – in December! This year, people acted as though they’d been cheated out of a white Christmas they were entitled to. It’s quite possible that goldfish have better memories than humans. Check if the stinging nettle is still in its corner by the water. Check if there are cat droppings among the plants; if so, cut a few leaves from the thistle in the other corner. Cut them into pieces of about 10 centimetres and spread them around. Empty the bucket of sand and goo that’s been standing around for no purpose at all. Find out if the sand box is full of water again, and consider getting rid of it. It would help if it’s broken. I can explain broken to a 4-year-old.